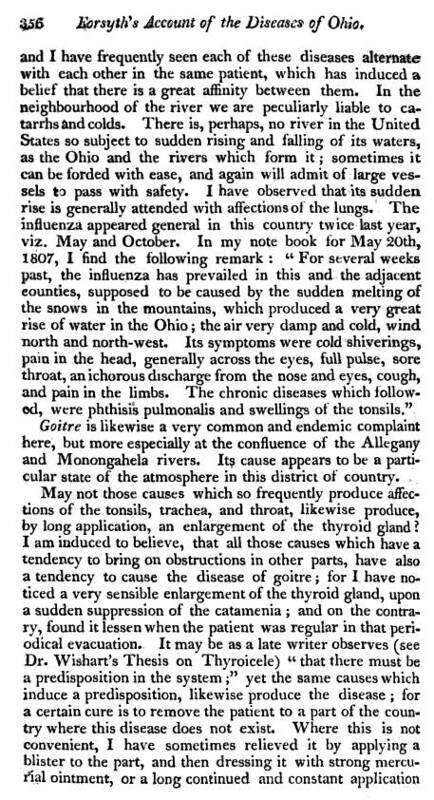 Forsyth’s review of Ohio is rich in geographical and climatological information in relation to disease. Yellow fever epidemics have by now been recurring for more than a decade, with its exact cause and reasons for its characteristic diffusion process yet to be fully understood. 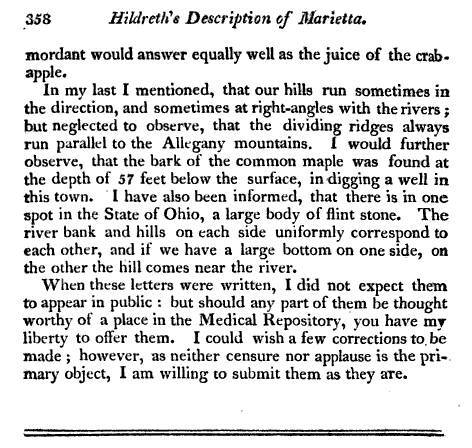 Nevertheless, Forsyth provides us with a description of the medical topography of Ohio around his place of residency in the town of Wheeling. The topics he reviews are typical for a complete medical geography, with the addition of a few facts and their related details regarding this region that are somewhat unusual for this type of regional reviews. In particular, aside from the expected coverage on local topography, geology, botany, medical botany, and zoology, we find a little more emphasis on indigenous history, due more than likely to their proximity to many of the new colonies and settlements being established in this part of the United States. But Forsyth also provides us with some background information on the theories underlying the perceived healthiness of the different environments in this region. Although brief as well, and yet longer than many others, this is the most informative part of Forsyth’s two-letter review provided to his reader Dr. A. C. Willey, of the Block Island, RI setting. Like other authors, Forsyth also mentions the numerous medicinal plants of the region. Some highly important medicinal plants are noted such as seneca and virginia snakeroots (polygala senega and aristolochia serpentaria), ginseng (the American ginseng panax trifolium), american mayapple (Podophyllum peltatum) and puccoon (bloodroot, Sanguinaria canadense), valeriana (perhaps Valeriana spp. or close relative; Thomsonian trained individual would just a few years later have this genus name totally mixed up with other species and genera) and yellow-root or goldenseal (Hydrastis canadensis). The abundant supply of goldenseal is interesting to note. Since the late 19th century, this plant became nearly extinct in a number of midwestern states, following in the footsteps of the highly popular American ginseng overharvested for trade with the Orient during the later colonial period of American history. Nearly all of these plants are immediately identifiable given an adequate dictionary of common plant names ( the best such dictionary is A. B. Lyon’s Plant Names (1907)). The only plant hard to identify was “stellac”. Based on a review of Lyon’s reference and the web, an identification of this plant could be assigned (with a fairly good personal score set for reliability of this identification). A typical herbalist’s or botanist’s first guesses might be that the name “stellac” could infer stellaria and shellac. The former however is not distinct to the region and the latter infers something like a Croton species (from “shellac, assuming a typeset or manuscript interpretation error by the printer), along with any possible Lac beetle bearing plants of the region, or to even the Varnish-producing Sumac bush (Rhus spp., which is ruled out because Forsyth refers to “sumac” later in this article). The most likely identification of this plant is based on the interpretation of the meaning and sound of its name “stellac”, beginning with the assumption that ‘stellac’ ~ ‘stella’ meaning star. 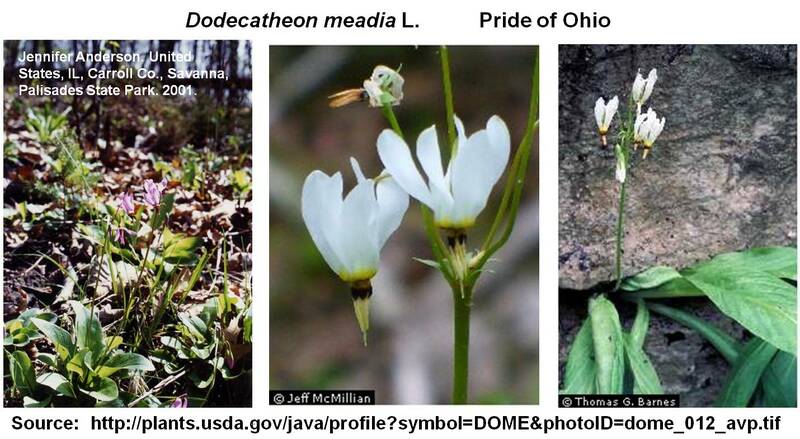 There is a very popular plant for the state of Ohio–Dodecatheon meadia L., known as “Pride of Ohio” (see http://plants.usda.gov/java/profile?symbol=DOME). It’s common names refer to its stellar, star-like or falling-star like appearance. This proposal assumes that the typographers misread Forsyth’s name for this plant which was ‘stellar’. The most important part of Forsyth’s writing pertains to medical climatology and topography. 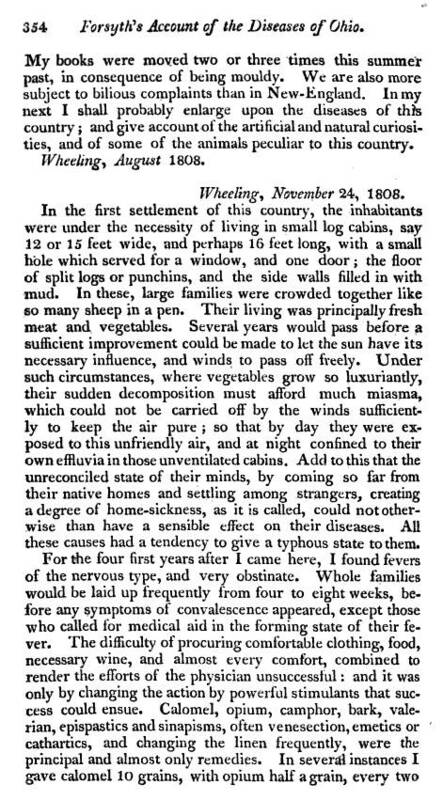 The climate description of the Ohio setting he provided gives us important insights into how medical topographers and geographers came to a better understanding of regional disease patterns. Just ten years prior, there were two very popular theories about the migration behavior of disease. The contagion theory stated that diseases were produced by the human body and required some sort of close proximity and direct relationship between the unhealthy and the healthy in order for the latter to become ill. The opposing theory for contagion, the miasma theory, state that some substance was generated in nature or by an ill body that could be spread and dispersed by air flow, the diffusion of which related to wind speeds and directions. Within this section inferring the belief in a disease diffusion process, Forsyth makes reference to the famous topographer–Volney–as he discusses the fevers. 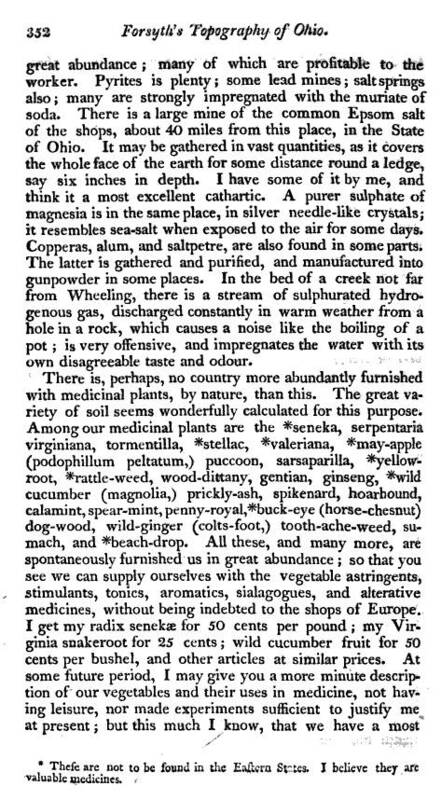 There is nothing unusual about Forsyth’s statements about the geography of fever. He infers temporality to fevers in a region by stating that soon after an individual moves to a new setting to live, that “nervous fever” can develop, which according to most writings for this time on fever would be due to the heating of the body due to this move and its impact on the body physically as some sort of Lamarckian-ideology originated adaptations response as well as its impact on the mind and emotions, causing the brain and body to heat in response to the changing environment–the heart beats faster, the blood flows quicker and hotter, the body desires more air in the lungs. Forsyth’s article also does not shed any new light on several other common regional endemic diseases, namely rheumatism, pleurisy and consumption. 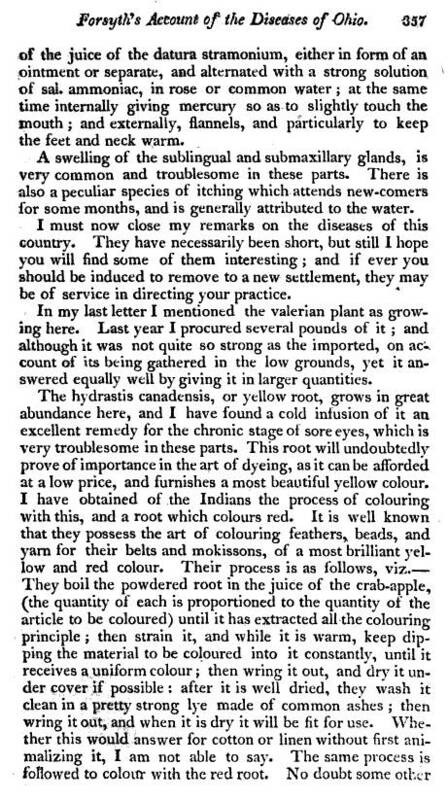 He notes that these diseases are common to the region, as they are to many other New England and Mid-Atlantic regions back east. Typically humidity and climate are related to the regular pains in the joints associated with rheumatism, the tightness of the chest , pleuritic rub and chest pains felt when trying to breathe with an infection due to pleurisy, or any of a number of conditions related to consumption ranging from difficulty breathing to coughing up green to black sputum, feeling weaker due to the a loss of physique and reduction in the vital spark. Forsyth makes his most interesting statement when he compares the weather from where he lives with the weather in New England. New England weather he confirms has a shoreline effect upon climate–the climate is less volatile in terms of seasonal temperature changes. 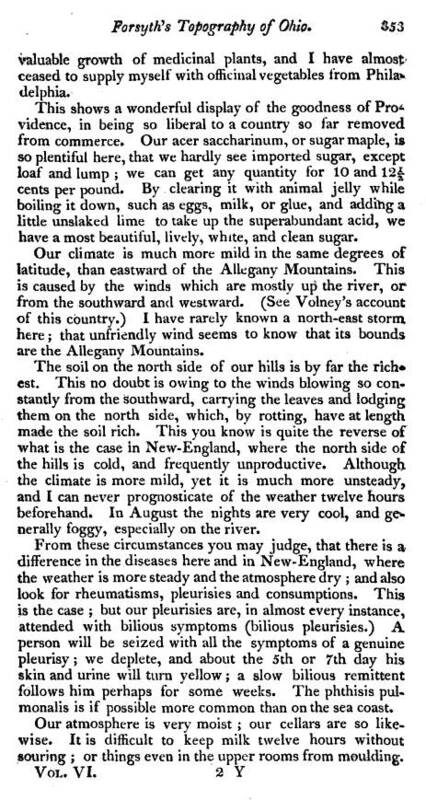 Forsyth also states that in New England “the weather is more steady”. However, he also states that the atmosphere of New England is “more dry” and like that of Ohio. More than likely, some of his readers disagreed with this statement, stating that lakeside, valley and oceanside settings tend to have a more humid atmosphere, as humid as if not more than that of Ohio. 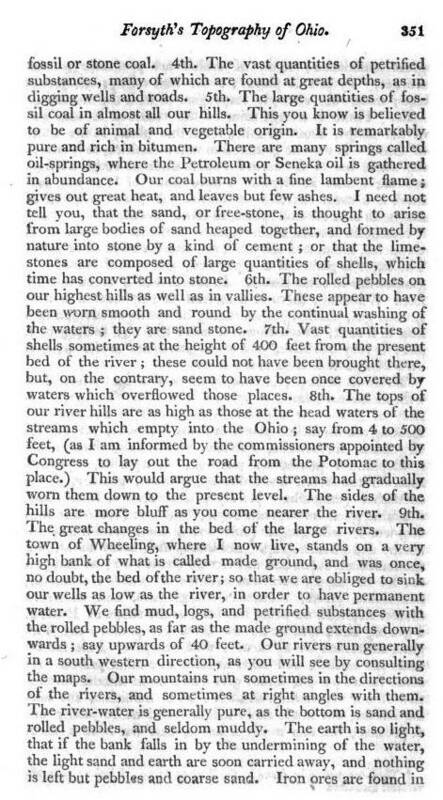 In New England, even regions located a considerable distance inland from these hydrologic features are expected to be more befitting of this statement by Forsyth, that part of New England he is probably referring to with this statement. Other meteorological and climatic notes worth mentioning are Forsyth’s details about the bilious pleurisy. ‘Bilious’ infers biliousness symptomatology and the nature of the body’s reaction to such an illness. This perhaps suggests there is some relationship to the any yellow fever that may be possibly impacting this region, a geographical issue that has for many years been hard to confirm and to convince everybody in medicine, and especially their colleagues with significant money invested in these places, that such could be the case. Like any medical climatologist, Forsyth paid close attention to temperature, humidity, wind and the meteoric, meteorologic anomalies of the region, such as hail, strong winds, the behavior of thunderstorms, the formation of hail. As a medical climatologist/topography Forsyth would have developed his own conclusions about how these impacts locals lives, causing recurring and sometimes non-recurring illnesses. He would have surmised that with an adequate wind flow, miasma may not only be moved into a new region so as to infect new people, but also be forced to dissipate from a region, migrating in other living areas and finding new victims. This philosophy Forsyth related to one important disease for this part of the United States for this time–Influenza. The geography of influenza was mentioned little in the medical literature due to the over-presence of the deadly yellow fever. Both were equally easy to review, but influenza lost out in the competition, as early as just a few months into the completion of the study of this disease in the New York region. This initial study of influenza geography was carried out by Quaker physician Shadrach Ricketson. Forsyth’s mention about its local behavior was a consequence of increase public and professional sensitivity to this other epidemic due to the work of Dr. Ricketson, who was one of the first physicians in the United States to carry out such a well planned study of New York as a state and region with regard to influenza disease geography and epidemiology. His methods would be repeated by most if not all physicians during the years and decades to some. (for example see Bowditch’s work on Consumption mapping). Forsyth’s review of Ohio provides the evidence for the dissipation of this knowledge, from Hudson Valley, New York to western Ohio. One of Forsyth’s unique contributions to the medical geography field as a physician focused on place-specific endemic disease patterns pertains to goiter, a result of poor nutritional and foodways in certain regions. Like scurvy, goiter was a disease common to specific lifestyles in wilderness and early pioneer life settings. Other diseases related to malnourishment such as beri beri and nocturnal blindness were also considered the scourges of pioneer life in the new country. This important concept in the geography of disease as it relates to endemic disease patterns is also exemplified by this part of Forsyth’s work. Goiter, a disease brought on by consumption of certain vegetables (mostly brassicaceae), is typical seen in inland portions of the country with poor Iodine supplies in the foodways and the presence of certain vegetable crops that further this condition by causing a swelling of the thyroid gland resulting in massive swelling of the neck. Goiter was common to continental settings where natural iodine nutrition sources were lacking and brassicas grown abundantly on farms due to the cold temperate zones. The valleys along Alleghany and Monongehala Rivers were noted to be rich in this disease. This is one of the most unusual diseases Forsyth reviewed for this part of the country, bearing the classical latitude-related diffusion process explained by many medical geographers writing about global disease patterns. Finally, Forsyth most important accomplishment in his field, as indicated by the content of this article, pertains to the sequent occupancy theory, as it was first described by Benjamin Rush in 1787. 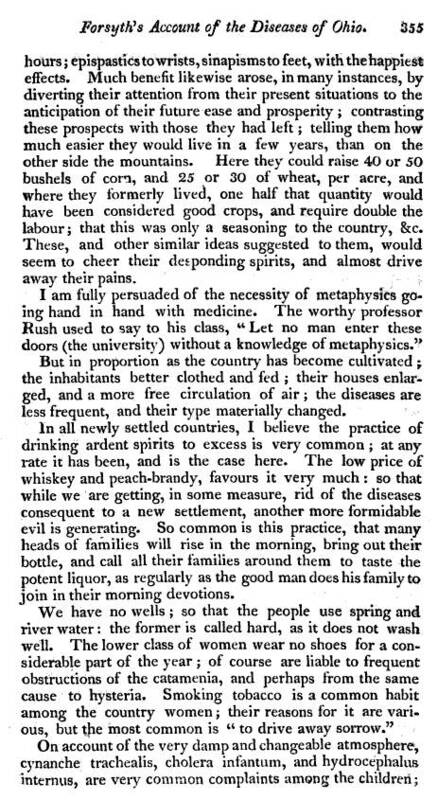 Forsyth is one of the first medical geographers of his time to make use of Benjamin Rush’s logic underlying the first ever version of this geographic disease theory published regarding United States medicine. This same theory would gain momentum about 90 years later when midwest geographer Derwent Whittlesey redefined this theory during the late 19th century, calling it sequent occupancy theory. 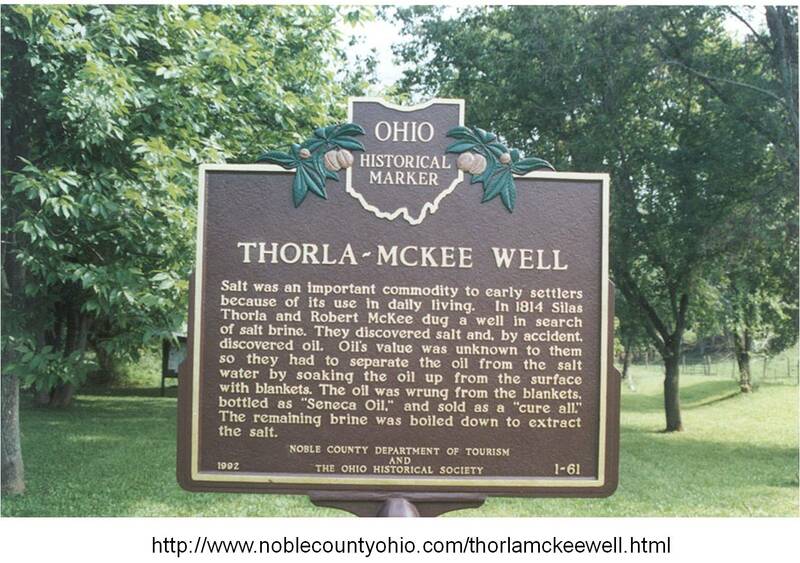 Forsyth’s second letter applies Rush’s terminology and philosophy for defining the sequential lifestyles found within a given setting by applying it to the human population history of eastern Ohio. 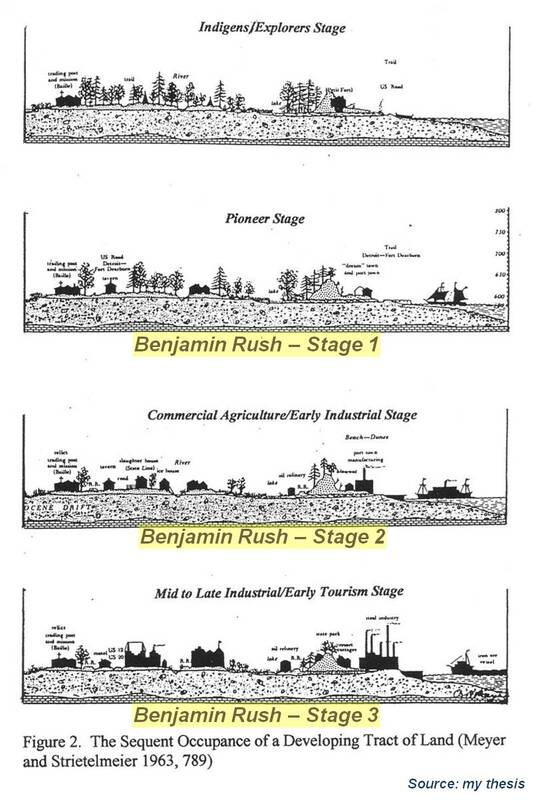 Forsyth uses Rush’s approach and terminology for interpreting the health of an area in relation to its settlers and stage in economic development. This makes Forsyth’s work a historically important example of Rush’s version of geography in relation to economy and lifestyle, and an example of reviewing regionalism and socioeconomic development using the sequent occupancy approach. Following this paragraph is Stage 2 in the sequent occupancy theme found with this essay. Notice these diseases are very much the consequence of living styles, and subsequent choices made by the pioneers regarding their living and eating (drinking) habits as their small hamlet evolved into a village, followed by a major town and even city setting. 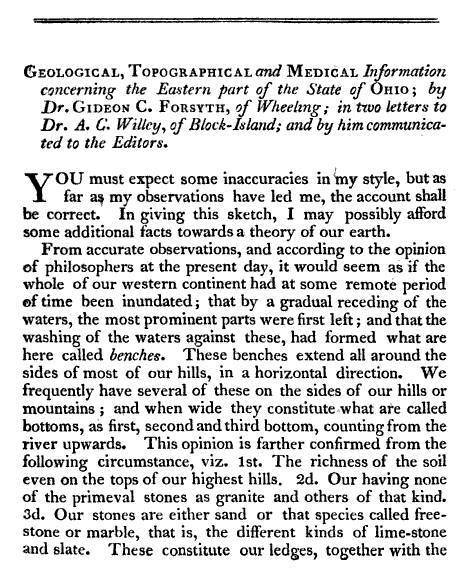 This is a unique example of Forsyth strongly and effectively demonstrating his support of Rush’s philosophies pertaining to medical geography and disease topography. Forsyth’s work and writings suggest he is more strongly devoted to Rush’s claims as an epidemiologist focused of people first, disease and the environment second. 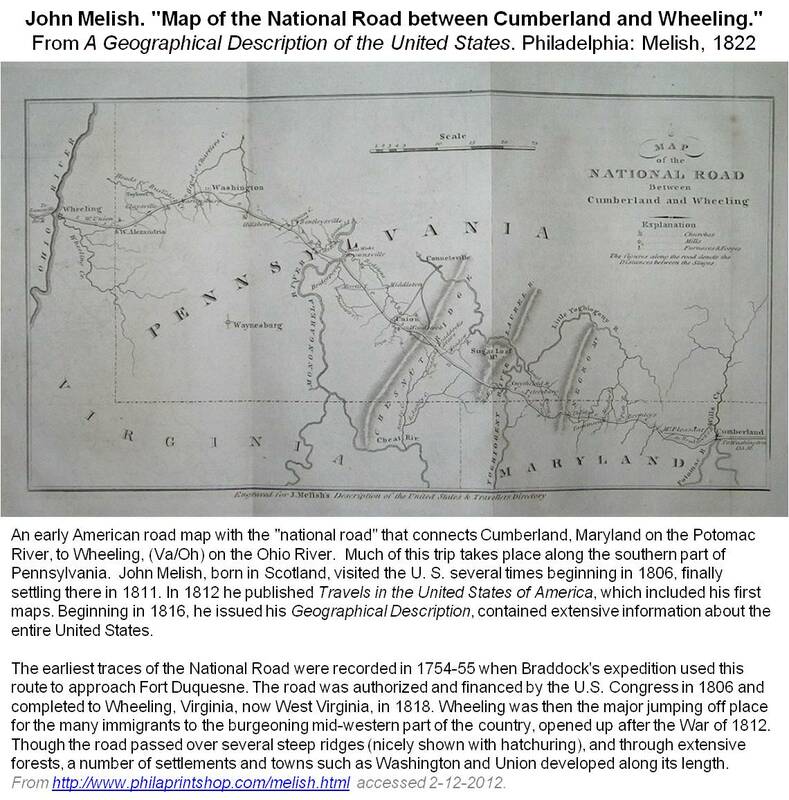 Geographically, this makes sense, due to the relationship between Pennsylvania and Virginia and the development of the major roadway used to remove to the young village of Wheeling situated on the Ohio River–Cumberland Road.